Let’s do coffee! No computer, no email, just you and me. As we sip on our freshly-brewed coffee, in over-sized chairs, you’ll probably notice I possess a few characteristics. First, despite my introvert-nature, I’m bubbly and talkative. At first I appear quiet and reserved, but give me a few seconds, buy me a coffee, and this gal can chat, even crack jokes. Second, activity is my game. I’ll sit and enjoy the coffee, but I love to be active. I pack an enormous amount of energy in this little five foot frame. Energy I intend to put toward good use. So, here I am. A secret introvert with a bubbly, talkative personality loaded with enough energy to power a house. Behind all those characteristics, there’s one trait that has always left me feeling a bit “less”. Since my early twenties, I’ve dealt with scaring and mild acne. At first I thought diet had a large part to play. I tried everything recommended from cutting out cheese (no!!!!) to leaving my favorite coffee mug in the drawer (not a pretty picture). After months without positive results, I happily welcomed back cheese and my morning cup of joe. Commercials did their job and soon I found myself on a never-ending shopping spree, buying every “acne-fighting” product on store shelves. The creams, lotions, spot-treatments, and mineral makeups left me poor and without any acne relief. Within a few weeks my acne greatly diminished, my skin glowed, and my confidence returned. 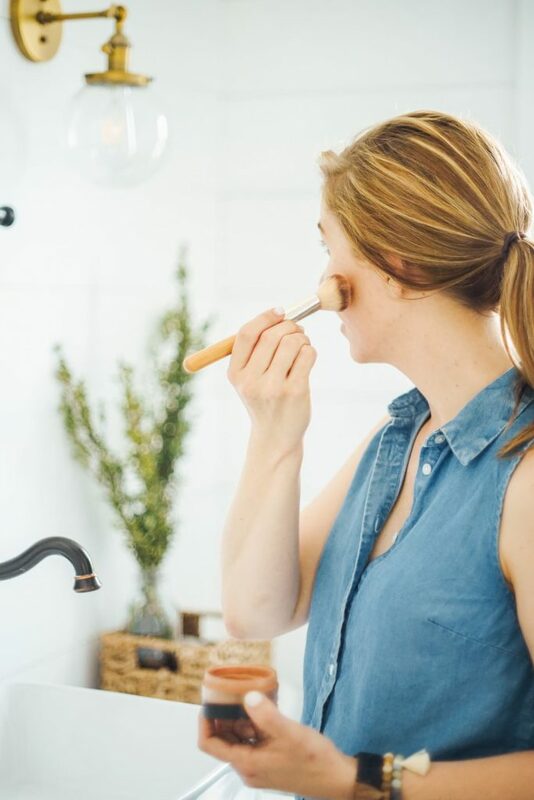 Ditching the toxic ingredients in store-bought face soaps, lotions, and acne-fighting gels actually cleared my skin! Today, my beauty routine consists of simple homemade concoctions. 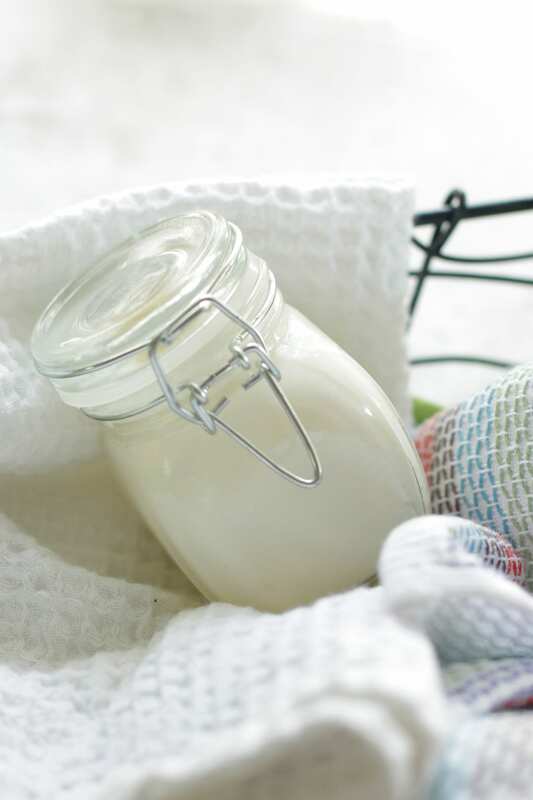 Jojoba or almond oil are my cleansers, a homemade astringent balances my skin’s PH, and homemade lotion nourishes my skin. 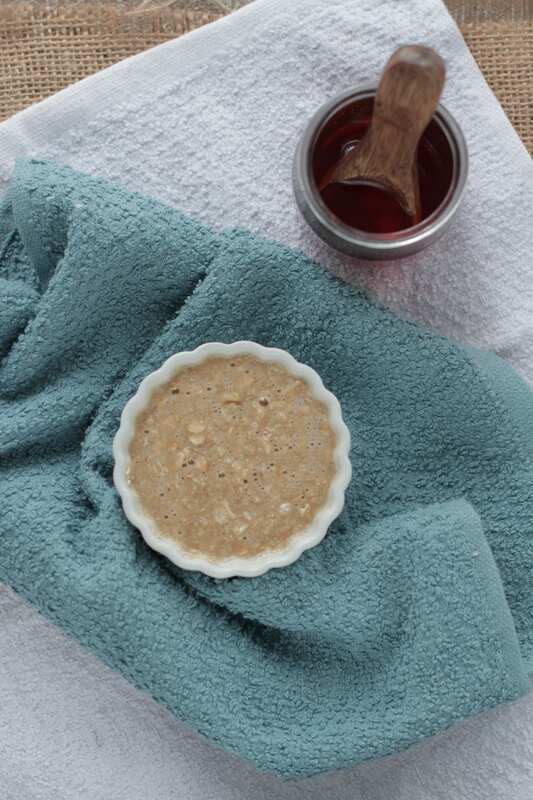 Oats: contains anti-inflammatory properties and saponins, a cleansing agent, making oats perfect for all skin types, including sensitive skin. Honey: with antibacterial and antioxidant properties, honey is perfect for achieving that “glow” while fighting acne and nourishing aging skin. Honey also naturally opens pores. Lemon: contains antibacterial and anti-fungal properties to fight off acne and blackheads. 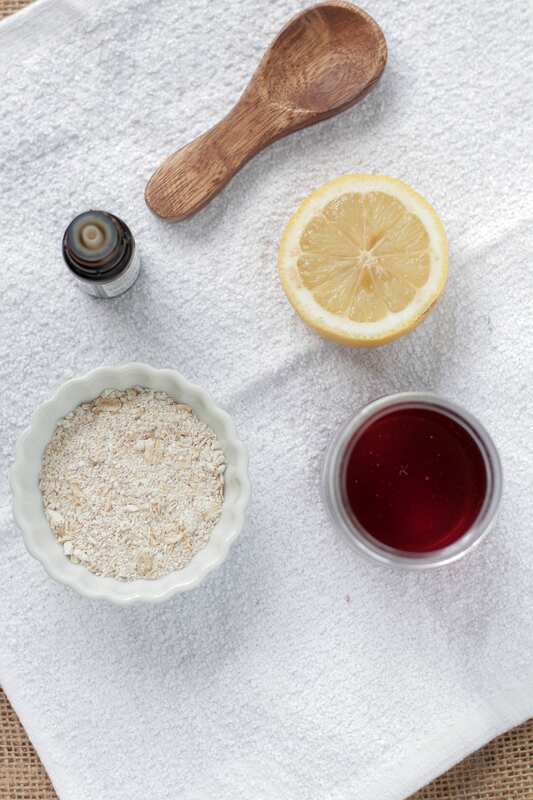 Lemon juice’s citric acid can help fade dark spots and acne scars. Lemon juice can also help cut down on an abundance of oil. Tea Tree Essential Oil: Known for its antiseptic properties, tea tree essential oil has been used for everything from treating acne to dandruff. I use my Honey Oatmeal Acne Mask once to twice a week before bed. First, I cleanse my face using jojoba or almond oil and then proceed with the mask. 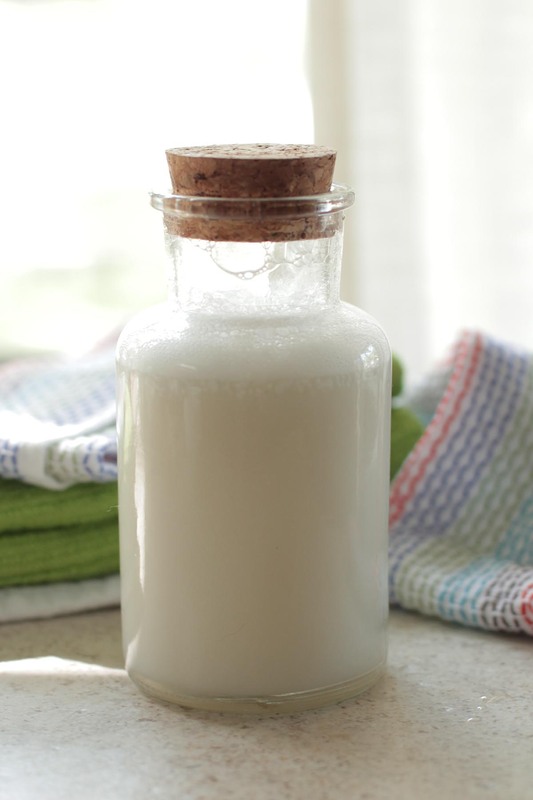 After fifteen minutes, I rinse with cold water and follow with homemade astringent and lotion. 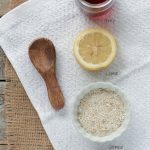 This honey oatmeal mask is just one of the simple homemade products I use when pampering my skin and fighting off acne. 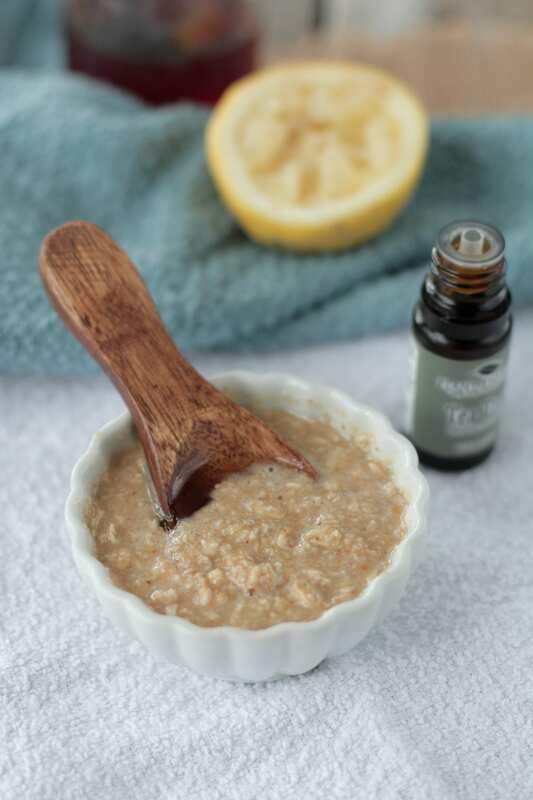 In a small bowl mix together ground oats, lemon juice, honey, and tea tree oil. Apply to face to create a mask. Leave on the skin for 10-15 minutes. Remove the mask with cold water and a washcloth. This is a great recipe. Just one thing, when using anything citrus on your skin just be aware that your skin becomes a bit light sensitive. Be sure to wear extra sunscreen when heading outside. Thanks for sharing these great recipes. Thanks so much, Angie. Great reminder about citrus and the sun! What do you do daily? If you do this scrub in e or twice daily what do you do daily? Hey Cydney, Right now I use Luminance Skincare’s cleanser and rosewater in the morning and at night, and then the shea moisturizer. I use a mask 1-2 times a week. Thank you for the recipe. Excited to try it out! I was wondering how you cleanse your face with almond or jojoba oil? Would you mind sharing your facial cleaning method? Hey Malin, You’re welcome :). Enjoy the mask! For the oil-cleansing, I place a small amount of oil (almond or jojoba for my skin type) on a cotton ball and wipe my face with the oil. I use warm water and a wash cloth to wash the oil off. I follow with homemade astringent and lotion. 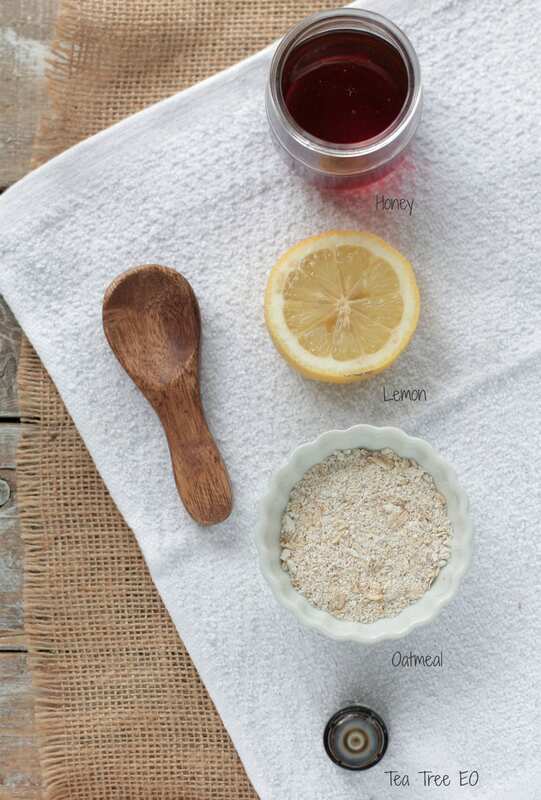 Here’s a great article on the oil cleansing method: https://www.auracacia.com/auracacia/aclearn/oil-cleansing-method.php. Thanks for sharing.. I use tea tree oil, it is a gentle oil that has soothing, anti-inflammatory properties. It can offer much relief with dry skin. Hey Alisha, Olive oil can be used for oil cleansing. If you’d like to add tea tree oil, I suggest adding a few drops to a small container/bottle of the olive oil and then gently shake. Tea tree is one of the few oils that can be applied directly to the skin so I’ve also used tea tree as a spot treatment for blemishes while I sleep. Adding gut-happy foods to my diet has also helped: ferments, probiotics, and good fats (yogurt, sauerkraut, real butter/coconut oil, real pickles, kombucha, etc.). good day im really amazed about your recipe i want to have it but my skin are pretty dry so i need a lotion for my skin dry and moisturizer and toner for my face i have no pimples(bec im dry) but i notice the blackheads in my nose. Also a sunscreen im asian girl but i live now here in australia thank you and more power God bless your works. could possible show before and after pictures. Hey Laura, I’d recommend using this mask as part of a regular beauty routine for good results, so it’s a bit hard to show pics of instant before and afters. ok, so this oil cleansing thing, I have read about olive oil, can you cleanse with olive oil or how is this all done?? 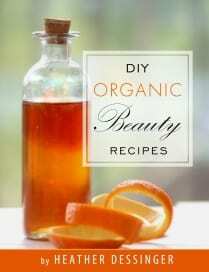 I have been cleansing with raw honey but want to incorporate raw honey in the am and oil cleansing at night to see how that works because my skin is the same, I have always fought acne but after my 3rd child and a tubal ligation my hormones have went berserk and I have started using progesterone cream in hopes it starts working to. My acne is rampant on my back, chin and neck mostly and it WILL NOT GO AWAY! Im wondering… can I use honey that’s not raw but organic being as that’s what I have? Thanks in advance, I am very excited to try this mask! Hey Jamie, Yes you can :). When you say “raw honey” do you mean unpasteurized? Hey Iris, Yes, that’s correct :). I was wondering if it’s absolutely necessary to store this in the refrigerator? If a bigger batch is made, how long is the shelf life? Hey Sarah, The ingredients will spoil pretty quickly at room temperature. You may be able to leave it out for 2-3 days max. Can I subsitute lemon for lime if limes are all I have at the moment? Hey Jessica, You can give it a try–I don’t think it will hurt. Hey Pamela, Olive oil and tea tree are very different products. Olive oil is great for cleansing and used in many recipes as a nourishing skin oil. Tea tree is an essential oil (not an oil like olive or coconut oil) and used for helping to fight bacteria related skin conditions like acne. I use a sugar scrub once a week on my skin. I use a mask (sometimes just a basic clay mask, other times an oatmeal mask) once or twice a week. Hey Kori, This recipe uses raw oats :). Hi, This is a great recipe. I was just wondering if I had to use tea tree oil or if I could do without, please get back to me soon ???? Hey Kendra, You can skip the tea tree oil. Just tried the mask for first time. Smells wonderful, but after 2 attempts I am having trouble applying it to my face. With this recipe I can only apply once as about 1/3 of the mix falls off my face. Tried adding more honey to stick, but not getting great coverage. Tips/thoughts? Hey Stephanie, Oatmeal can greatly vary in texture and thickness, even once it’s pulsed into crumbs/flour. I recommend adding more liquid. Stumbled upon your site and now I’m in love! I’ve tried this mask last night and my skin already feels softer. Can I use this on a daily basis before bed or is that not advised? Hey Cythina, I’m so glad you’re enjoying the blog! Face masks can cause the skin to produce more oil, from my experience, so I would limit the usage of this mask to 1-2 times a week, at most. Thanks for this recipe. How long do you think a batch of this mask will keep in the refrigerator? Hey Claudia, About a week :). Hi Kristin, This is an awesome face mask. Tea tree oil works for acne not just the pimple. If you are using it for the occasional pimple, put a little bit of tea tree oil on a Q-tip and apply it to the pimple. Tea tree oil anti-fungal, anti-viral and anti-bacterial properties. It is used to for a number of things, including bad breath, athlete’s foot, cold sores, body odor and acne. It is safe to use tea tree oil as a treatment for whiteheads and blackheads. 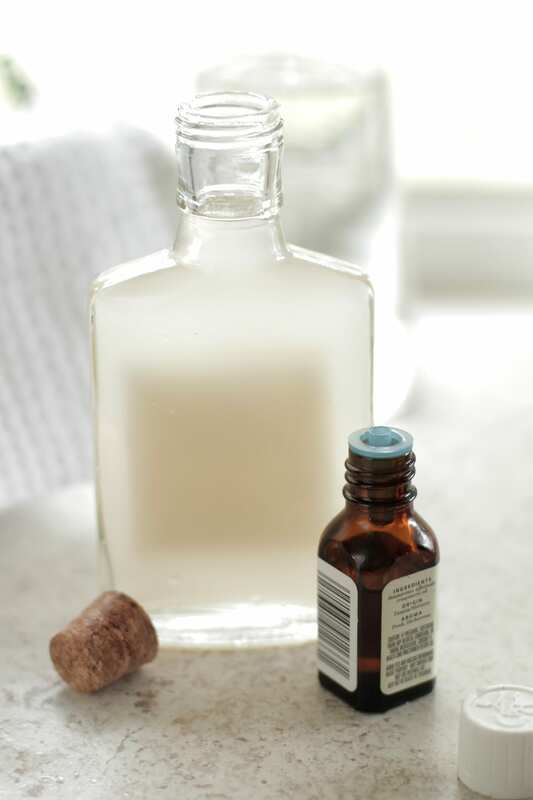 Make a tea tree oil mask to help acne. tea tree oil can be applied to your skin two to three times daily for best results. How long will it take for significant changes to be seen on your face? Hey Noopa, A lot plays into skin health, from products used to food to hydration and gut health. One mask won’t change the skin, although it can help to improve it. It’s hard to answer that. hi, can i mix this recipe with turmeric powder? and can i use and kinds of oats? Hey Rose, Sure, but turmeric will stain so I would only use a small amount. As long as you grind the oats, sure.